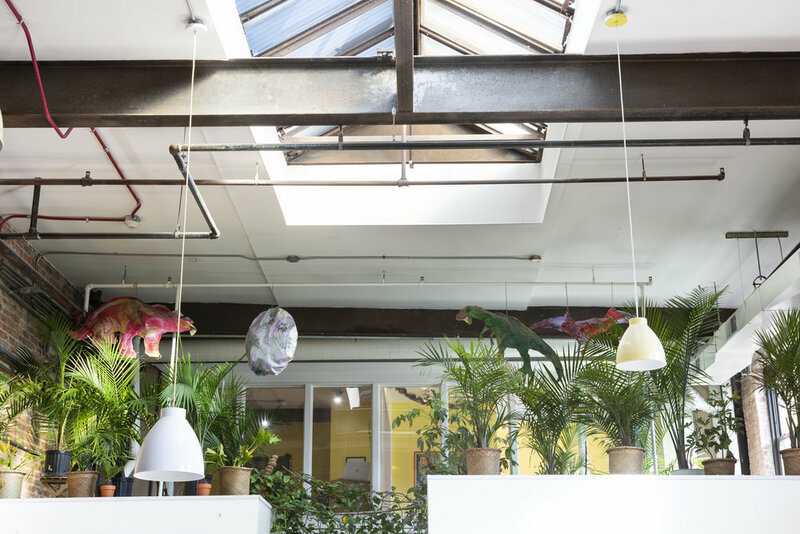 The organization of the physical environment is crucial to Reggio Emilia’s early childhood program, and is often referred to as the child’s “third teacher.” Our school is filled with indoor plants and we receive natural light from our one-hundred year old skylight. Our school is warm and welcoming, and incorporates a home-like feel. 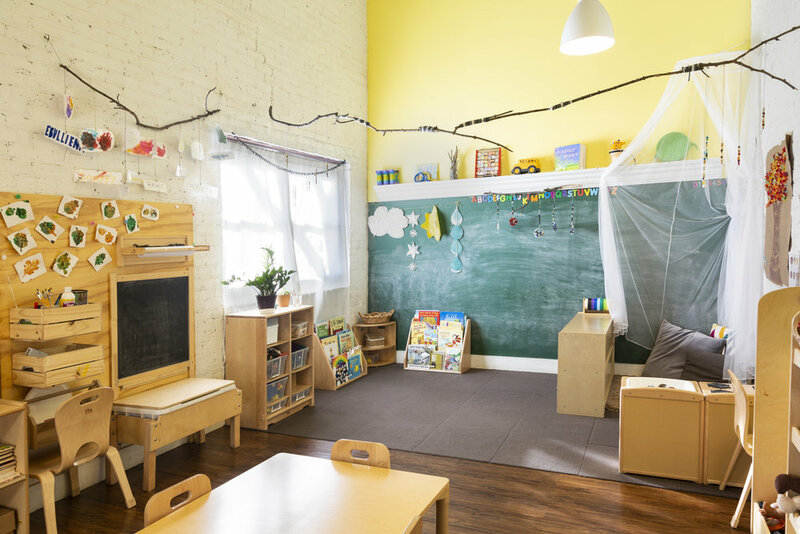 The teachers are very intentional when setting up the classroom environment, with items displayed in an engaging manner at the children’s level and inviting the children to explore. We think it is important to have our school filled with documentation of children’s learning. This documentation is done through photographs of the children doing work and of their artwork. Other supportive elements of the environment include ample space for supplies, frequently rearranged to draw attention to their aesthetic features. 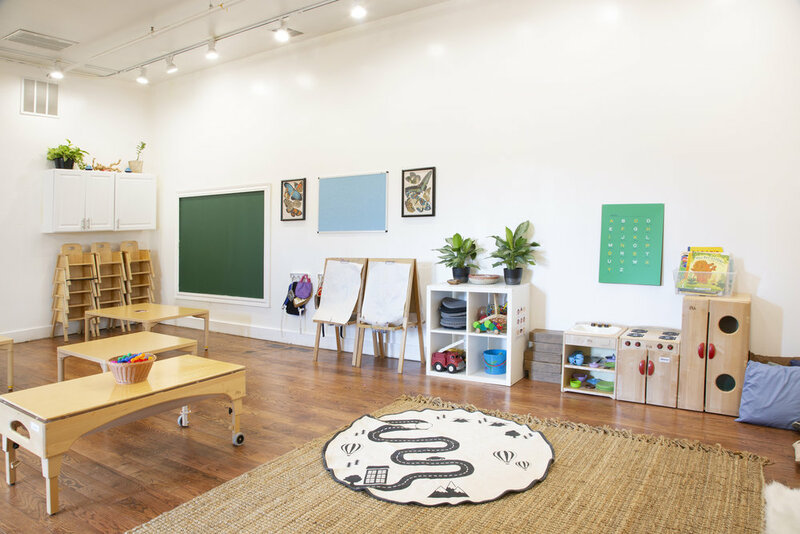 In each classroom, there are clearly designated spaces for large- and small-group activities, quiet spaces for reading books, and areas for gross motor and group play. Throughout the school, there is an effort to create opportunities for children to interact whether it is the ability for children to see into other classrooms or to engage with others on our outdoor playground.